Jake's passion for advertising has been fueled by local and international awards; and jury duties both local and abroad throughout his 20-year career. Handling brands such as Procter & Gamble, Johnson & Johnson, Estee Lauder, KFC, Nissan, Unicef, Del Monte, Boysen Paints, Peerless Corp., Bench, Asia Brewery, Ayala Center Malls, Petron, Century Canning Corp., SM Supermalls, Nivea, and Dole Philippines and Asia, among others; plus productive stints at Ace Saatchi & Saatchi, JWT, Lowe Shanghai and TBWA\SMP have equipped him with invaluable experience. 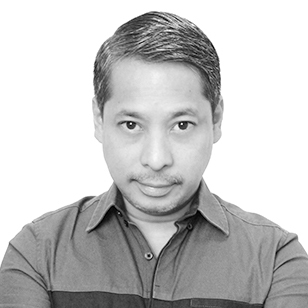 He is very active in the Philippine advertising industry and currently holds the position of Co-Creative Head for the 2018 Ad Summit and has also served as Chairman of the Creative Guild of the Philippines in 2016. When not working on a pitch, he works out on the pitch with his Messi moves:). A semi-foodie who loves cracking briefs and jokes.